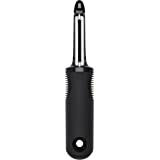 Comfortable and sturdy for vigorous whipping and aerating. This professional-style whisk is up for any task - whether you're beating eggs for an omelet or whipping up a quick vinaigrette. 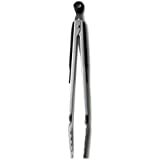 The teardrop-shaped handles designed for comfort, especially during repetitive motion. Wet hands? No sweat. The handles are non-slip when wet. 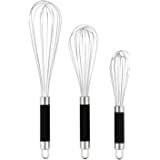 Our Good Grips Whisks feature polished stainless steel wires and teardrop shaped handles that fit comfortably in the palm of your hand. The soft handle won't slip out of your hand, even when wet. Beat eggs, stir batter, whip cream and stir sauces in comfort. Available in 9-inch , 11-inch , 11-inch Balloon and Flat versions. 5.0 out of 5 starsDurable, water tight, and well-designed and manufactured! I'm not one to get excited about kitchen products, but this has been one of my favorites in the kitchen! 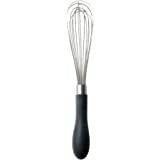 Unlike many other whisks I've used, the wires are very sturdy and they haven't bent at all over the time I've used it. The handle is very well constructed and hasn't let any water in despite numerous dishwasher washings. There is also an ingenious area of clear resin around the base of the wires where they join the handle to ensure that the handle is water tight and that water does not get trapped there or rust (see picture). 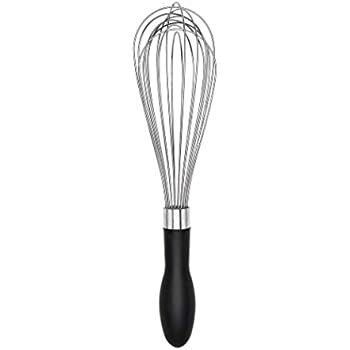 The stainless steel wires are also spaced out at the far end of the whisk. 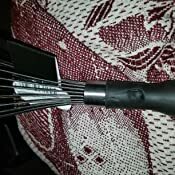 At first I thought this looked a little odd, but it has actually proved very good design as the wires do not get tangled in each other at all and the spacing helps whisk liquids better. 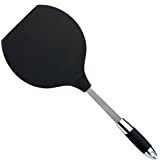 I make a lot of baked goods and this has been invaluable to preparing eggs and adding air into my batters. Definitely recommend this high quality, durable whisk! Whisk is actually really nice. Never had a problem with rust, and always just washed in the dishwasher. It comes in two parts. Not sure if it is meant to, but the handle comes apart from the main section. We always took it apart to clean and once dry put it back together. 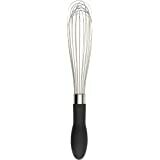 The reason this whisk is better than the others is because no food can get at the bottom where the handle and whisk part meet. 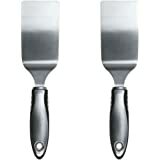 It is filled with some type of epoxy or equivalent and works great. Only downside with this whisk is the two piece part. The top section has a thick plastic piece that inserts into the bottom and worked great for years, but eventually the plastic piece broke recently. I will be buying another one of these because there is not one I found that is better. If they could make this a one piece design that would be great. 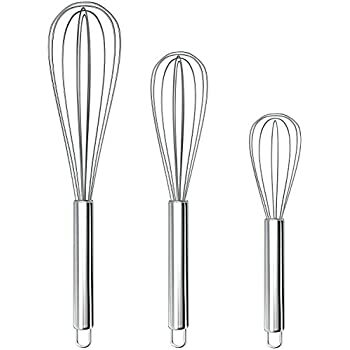 These are the best whisks to own. 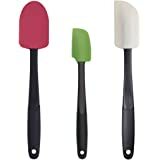 I had several different ones from various brands (including Martha Stewart brand) and after gong through the dishwasher they would collect water in the handle... coming in from where the whisk meets the handle. 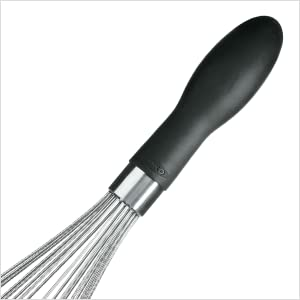 So the next time using the whisk (even days later), old water would drip down the whisk into the food you were making. 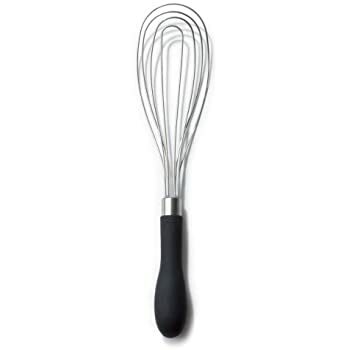 This is the only whisk I have found that doesn't have that problem. I ended up replacing all my other whisks with these ones. 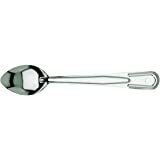 5.0 out of 5 starsA Fine Manual Hand Blender... But, Don't Except to Replace a Hand Mixer anytime soon. 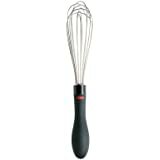 This high quality OXO 11-inch Whisk has manual mixing easy, effortless, efficient on any size liquid or solid batter. 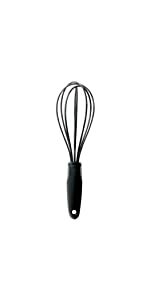 Beware, this whisk doesn't replace a hand mixer but come nearly as close replacing one- E.G. 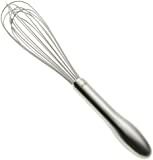 If you're mixing a solid batter that requires a little water or liquid, like Fudge brownies or Cream Cheese, the whisk will be clogged, which require you to manually scrub the batter stuck between the whisk, repeat the process until its finely whipped or aerated and doesn't get clogged up in your whisk. 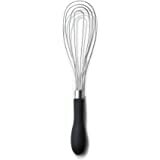 Despite that small problem of its not replacing a hand blender manually, I'd say this the best whisk I've owned in my life... 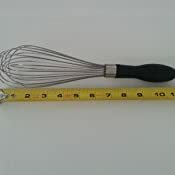 I mean the fair price, quality, durable and lovely performance this whisk is well worth its price of ten dollars. I had 2 whisks. One broke in half, the other keeps falling out of the bowl/pot. 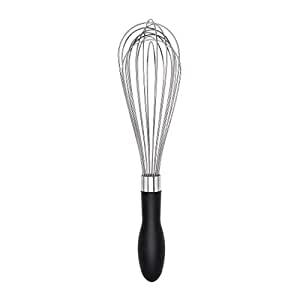 I was fed up and purchased this whisk. 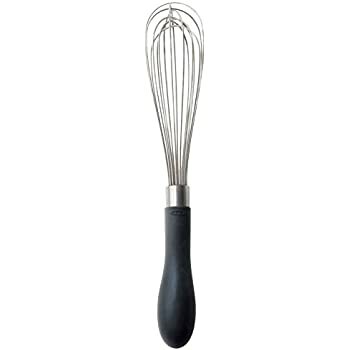 This is a quality whisk. 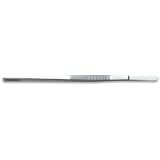 Its evenly balanced, has a good grip, and has a good weight. I no longer have to deal with my whisk constantly falking over. It's easy to wash too. 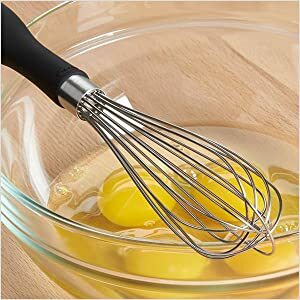 Did my research from The Sweet Home, America's Test Kitchen, and decided that this was the best universal whisk for just about anything that you would need in your kitchen before getting out the beaters. Of course OXO is the top line when it comes to utensils in the kitchen. 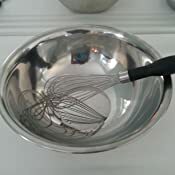 And I love the way that this whisk is perfect to get down into a deep KitchenAid mixing bowl or easy enough to use on a small skillet when you are making a reduction sauce. Love how there is a whisk inside a whisk that allows for perfect distribution of ingredients. Nice handle, and dishwasher safe. 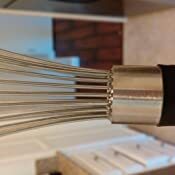 With the whisk components being positively set in the handle and what I believe to be a perfect balance of whisk curvature and thickness, this "Good Grips" is one of the smarter kitchen devices I have found in some time. The handle has the benefit of being nicely shaped and sized to put a good spin on. Looks like the electric hand held mixer is going to be a space taker in one of the cupboards. 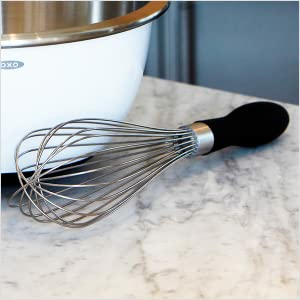 Great whisk! Feels solid and comfortable in hand. 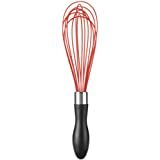 Many balloon whisks are so flimsy that the wires shift and no longer hold their shape, rendering them virtually useless for incorporating air into stuff. So far, the OXO whisk is holding its shape and doing its job perfectly. Its size is perfect for my small hands.